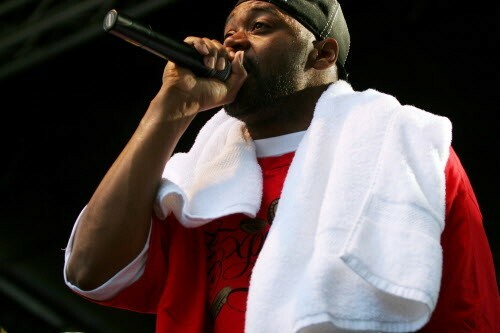 Wu-Tang Clan member Ghostface Killah is my all-time favorite rapper, a prolific MC who slices through soul-tinged productions with insane syntactical acrobatics, bars packed with alliterative plosives, and labyrinthine storytelling told in the various voices of different characters. 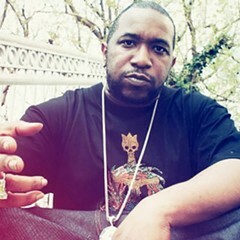 With some minor alterations (2009's Ghostdini: Wizard of Poetry in Emerald City leaned towards contemporary R&B; last year's Twelve Reasons to Die was an album-length collaboration with soul-music scholar Adrian Younge), almost all of Ghostface's albums over the past 20 years consist of the rapper flexing linguistic muscle over mid-90s-era boom-bap built on old soul and jazz samples. On 36 Seasons, out today, Ghostface goes for a live-band approach: most of the album is produced by throwback soul-funk group the Revelations. Nevertheless, it sounds like a trademark Ghostface album, and as a bonus, it features multiple appearances by AZ and Kool G Rap (who plays the Shrine on Fri 12/19), two celebrated underground New York rappers who are way overlooked by mainstream audiences. They complement Ghostface perfectly on 36 Seasons, and the album should satiate anyone looking for their fill of high-energy, dexterous rapping laced around beats that sound like they're playing on an old car's tape deck. Today's 12 O'Clock Track is "Love Don't Live Here No More," the opening single off the album and as good an indication as any track on the album for what to expect from 36 Seasons.